Fish for whatever you want everything is eating in Estero Bay and Fort Myers! If its offshore and near shore you are in to then the wrecks and reefs have been holding a variety of species from Spanish Mackerel to Snapper. 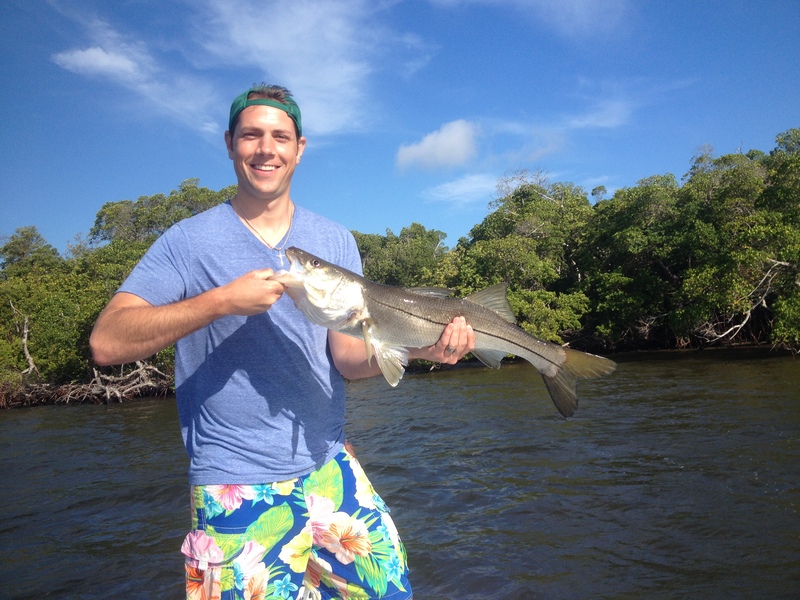 If its backcountry flats fishing you like the Snook and Reds have been eating well. If it’s Tarpon you’re after they have been in full force off our beaches and passes. Basically it’s spring and there is a chance to catch a number of species fairly easily. I have been Snook and Red fishing and doing pretty well. Bait is around the bridges still and getting there early before alot of traffic has been helping to ensure you get your fill for the day. I have been switching things up lately to get a good grasp on how the fish want to eat. Try a cork to suspend the bait, or a weight to keep it pinned to the bottom, or just free line it with a hook. Once you narrow down how they want to eat you usually can get on a good bite. We have had great tides this week and it is continuing through the weekend, we are on the moon stage of a new moon. These stages can be good because the tides are very strong and the light at night is not to bright so the fish dont feed as much at night with the good tides. Water temps are in the 80’s so get out and at least enjoy the warm water with family and friends!